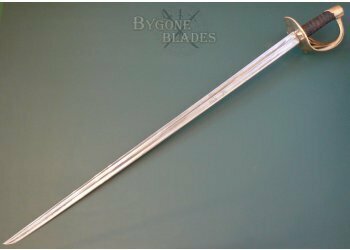 The model An XI/XIII sword was so called because it was originally designed in the eleventh year of the Revolutionary Calendar (1802). 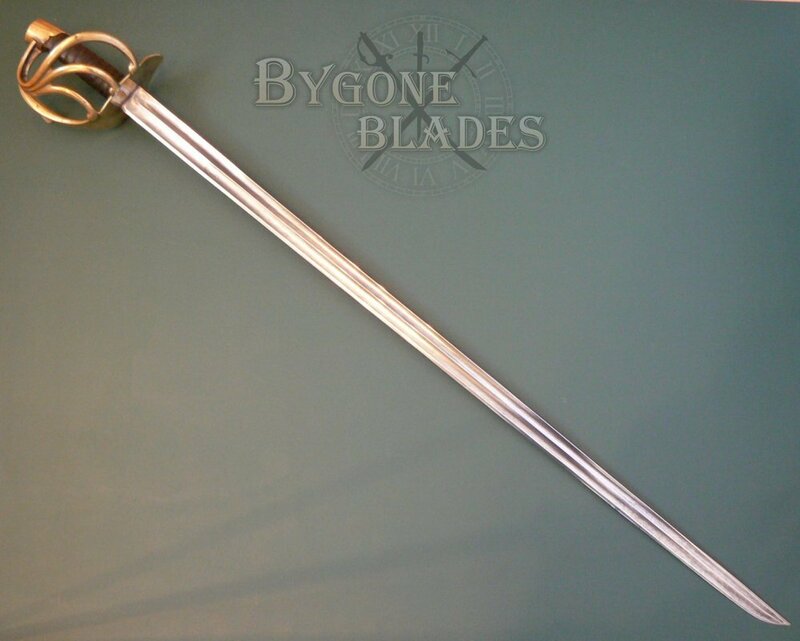 Early versions of the sword were criticised for the weight of the blade and the weakness of the guard and scabbard. 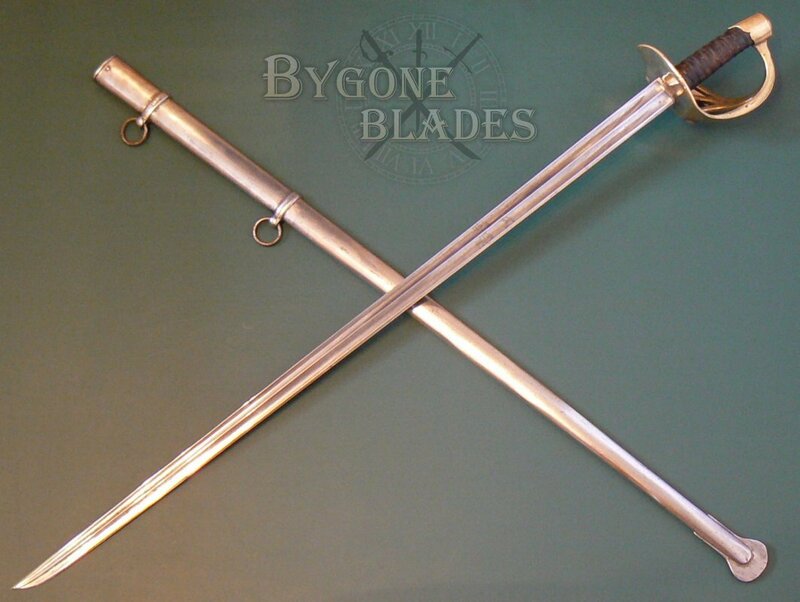 The final version of the sword was approved on the 22nd September 1804 (AN XIII). 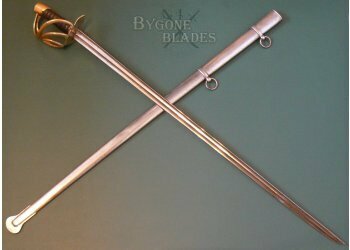 The modified sword is referred to both as the AN XI and the AN XIII (some experts describing it as a version of the year nine and others arguing that the modifications made it a new pattern). 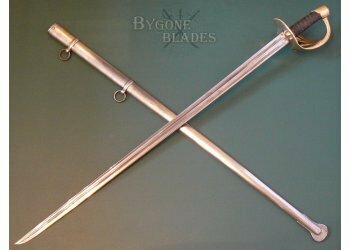 The final incarnation of the Cuirassier sword was virtually the same as the earlier versions of the AN XI. 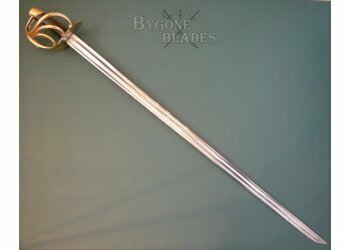 Most notably, the three bars of the guard, which became a single thin bar before joining the pommel in previous versions, now extended into the base of the pommel, considerably improving the strength of the guard. 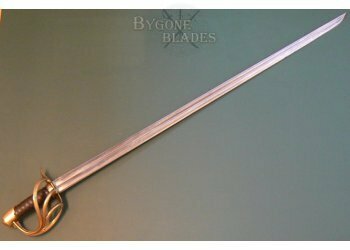 Production of the final version of the AN XI/XIII sword took place from October 1804 until 1816. Most sabres were produced at the Klingenthal armoury. 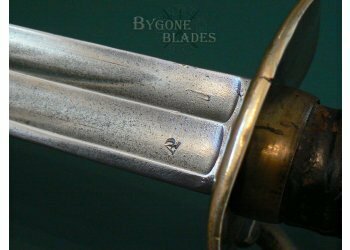 Klingenthal blades were also sent to the Versailles armoury to be hilted and some rarely encountered sabres, marked AP (L' Atelier De Paris) were purchased from private forges. With France being in a constant state of war, the government arsenals could not keep up with demand. 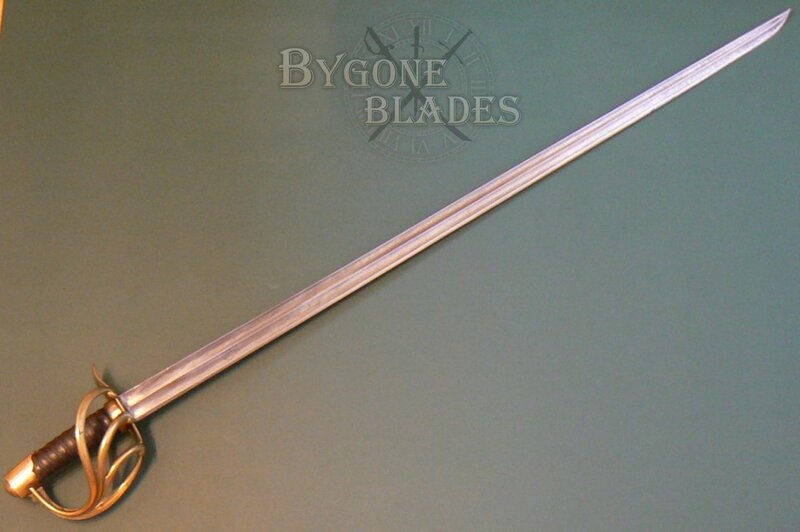 Swords from private manufacturers were proofed at the Ateliers de Paris and if accepted were stamped with an AP. 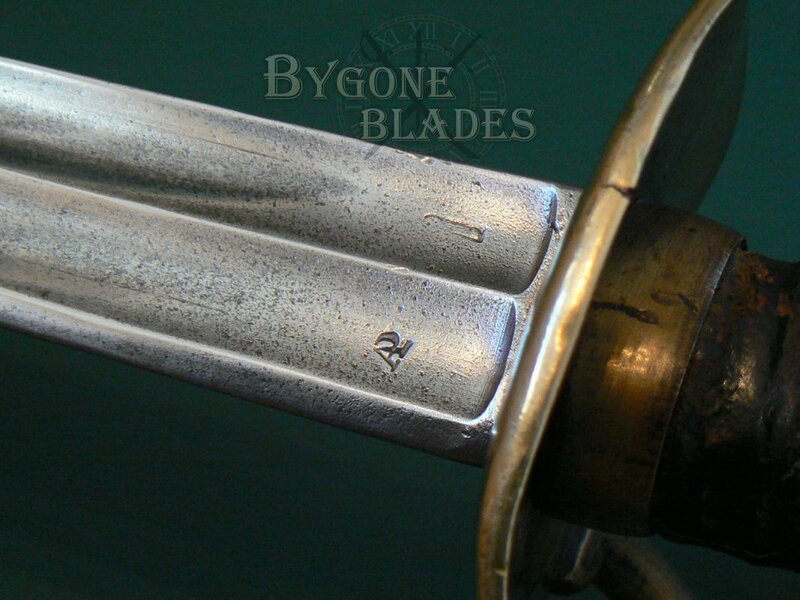 Blades marked AP also tend to have an inspection mark called a "licteur," resembling a column with a rounded top. This was a French revolutionary symbol. 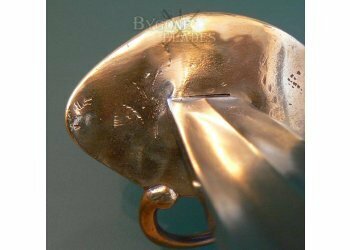 Production of AP marked sabres occurred from 1804 to 1814. 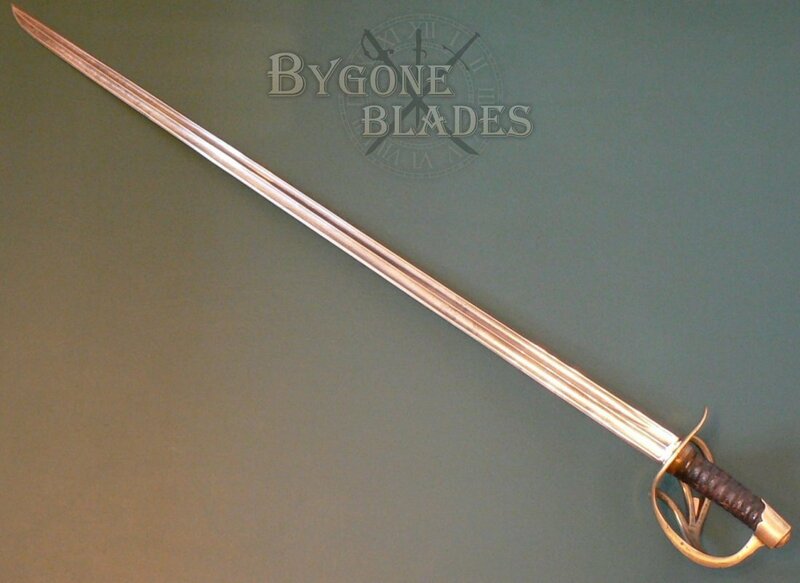 The 965mm straight, single edged blade has a flat spine and twin fullers that continue to the hatchet point. 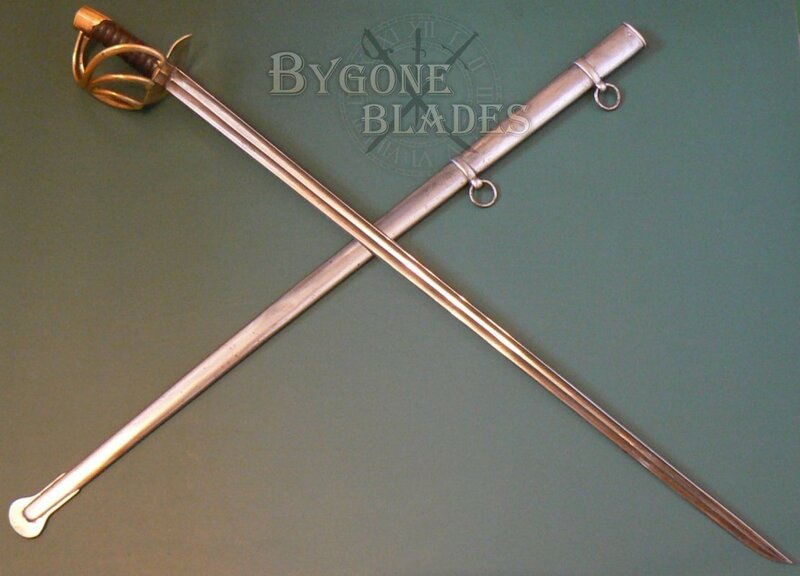 Around 1815-1816, the hatchet points of these swords were ground to a spear points. The base of the blade bears the AP stamp of the Atelier De Paris and the Revolutionary licteur. 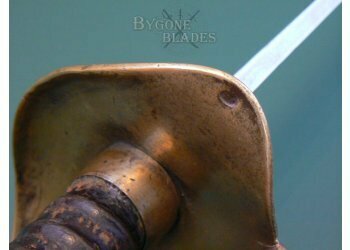 The blade is in excellent condition with its original pre 1815 hatchet point and minimal speckles of pale grey tarnish. 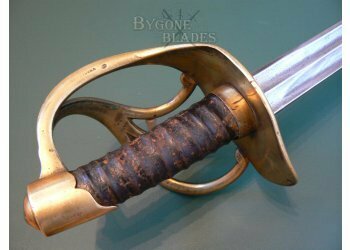 The barred Arco guard is nicely stamped with Versailles armoury marks, including the poincon for Phillipe Bick, who was a controller at Versailles from 1813-1818, helping date the sword to between 1813 and 1814. There are several additional stamps on the barred guard. These are found on the front of the beaked quillon, the inside junction of the three bars and on the pommel. The leather wrapped grip is in good condition and retains its original leather. Ten or eleven turns of twisted brass wire would have originally finished the grip. 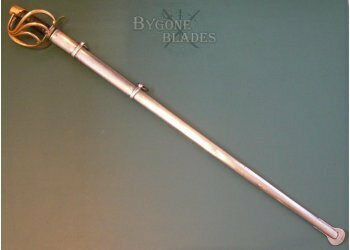 The sword is complete with a third pattern scabbard. 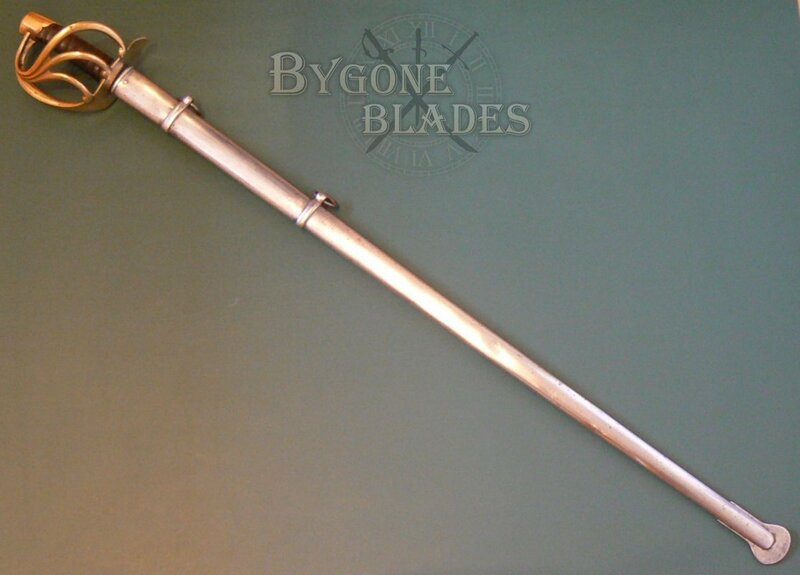 These scabbards were officially adopted in 1816; however, examples of these scabbards were recovered from the Waterloo battlefield, indicating that they were in use prior to their official adoption. 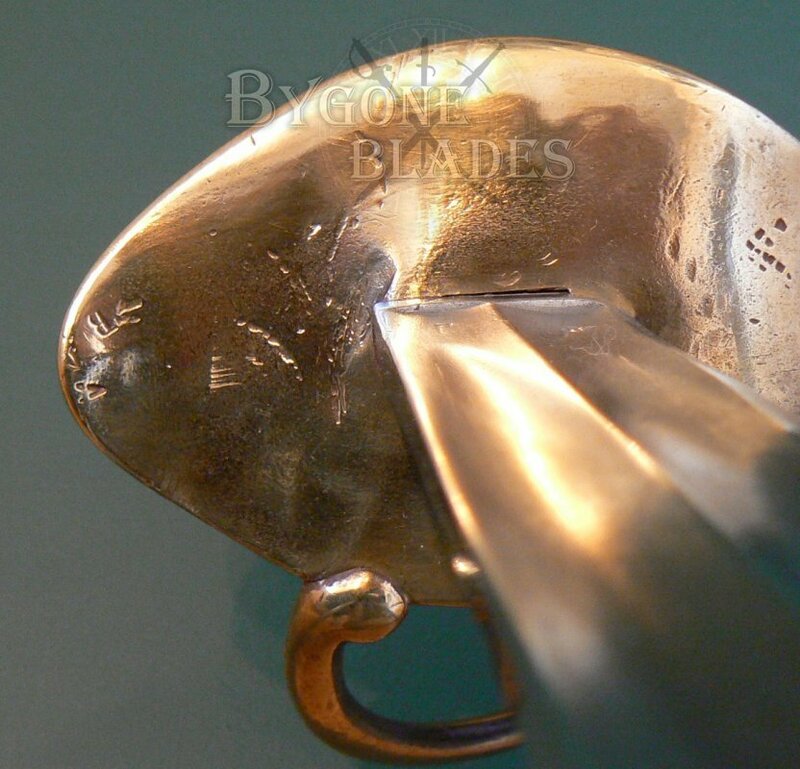 The scabbard is stamped with poincon on the throat and drag and the number 170 is stamped on the first ring band. 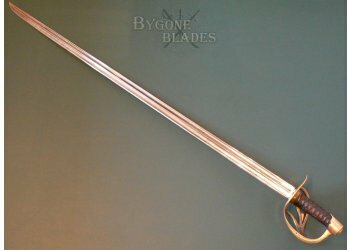 Both the scabbard and blade of this sword were coated with an old layer of varnish/shellac, which helped to preserve the metal. 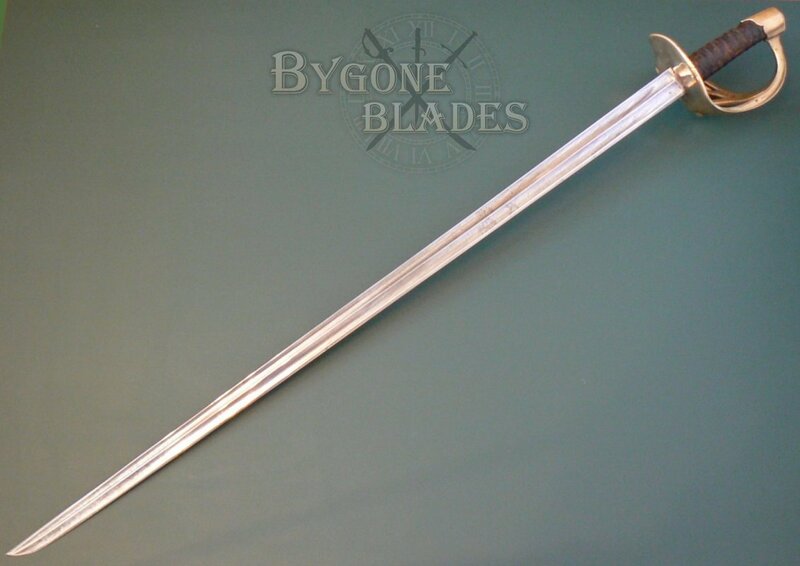 The scabbard is in excellent condition, free from rust, dents or damage and with only mild age related marks. 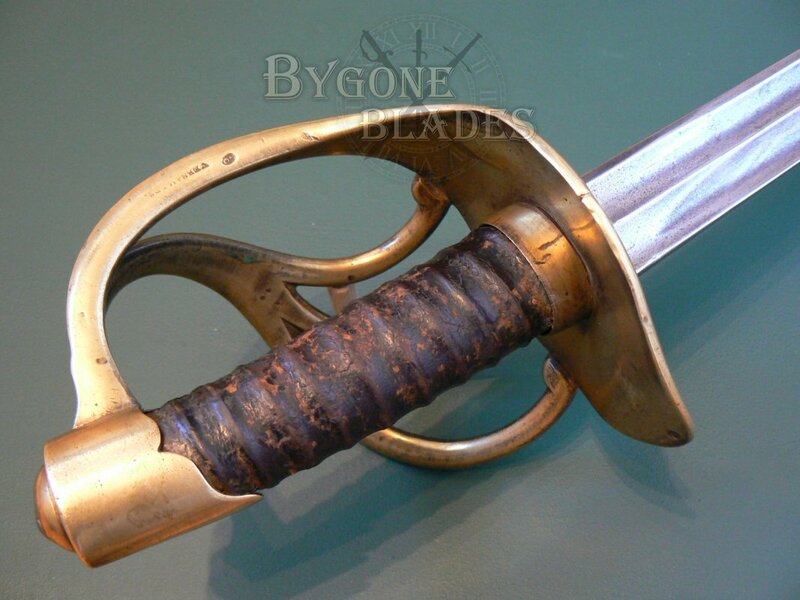 This is a guaranteed genuine Napoleonic Wars Cuirassiers sword dating from 1813-1814 and would have been used by a Cuirassier in Napoleon’s Grand Army.